Nodira is 31 years old, a quiet, understated woman, a mother of three daughters. Her husband supports the family by doing odd jobs, working in construction and fixing houses. Nodira is happy with her husband, he is a very carrying and reliable person. Nodira enjoys working in the workshop. 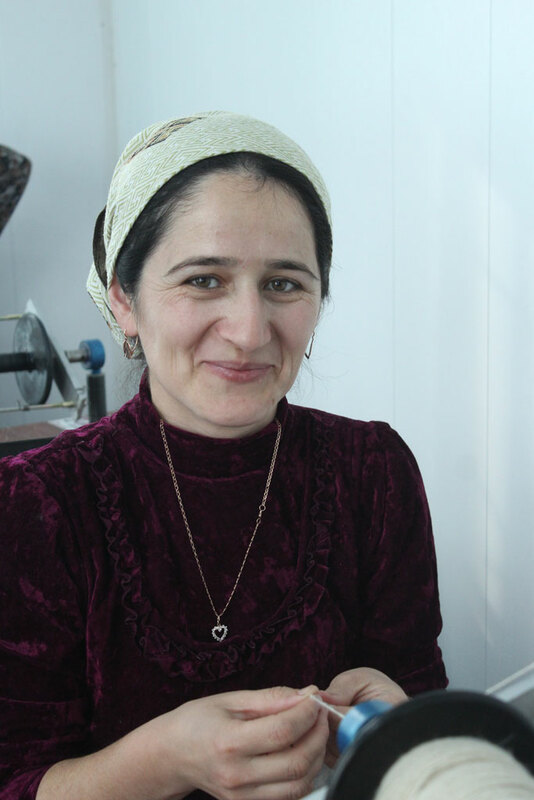 She is very happy that the spinning workshop opened and hopes to continue working there. She spent her first earnings from spinning on her family. She now has only one dream – to have a son.